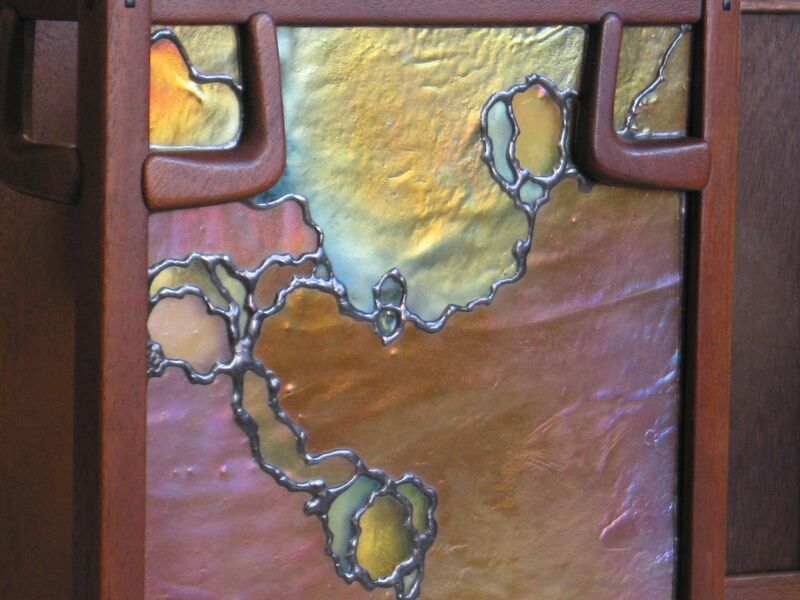 Mahogany and iridescent stained glass wall sconce light fixture. Reproduction of wall sconce from James Clubertson house, 1907, Greene and Greene. Shown in reflected light. Faithful reproduction using period correct glass and copper foil glass panel construction. Wired with a period style all brass socket set up, with dark patina. Ready to mount. Dimensions: 12 x 14 x 7 in.